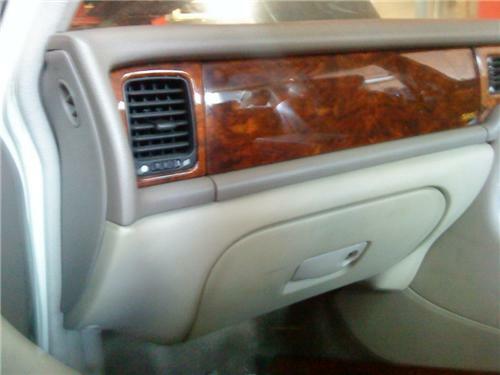 Up for Sale is a JAGUAR X300 Glove Box - RARE Factory Option 1994 to `97. This Glovebox is off an X300 (1997) & are very rare. They were offered as a Factory Option & not many were fitted. Colour is Oatmeal (Please note that some of the photos are showing much creamier than it is). They simply fit into where your existing panel is & are much more modern looking. If your trim is warped, then this will look much tidier & as well as being a useful option. They may fit a XJ40 as they look like a similar panel, but we havent tried to fit. Buyer to contact me within 24 hours and must place a 10% deposit to secure. I reserve the right to relist or offer a next chance to the next highest bidder if a deposit is not received or other arrangements are made. Please note that you are bidding to purchase & not for the right to view. If you need any further details or want to make an appointment to inspect please contact me on (0419)213770.